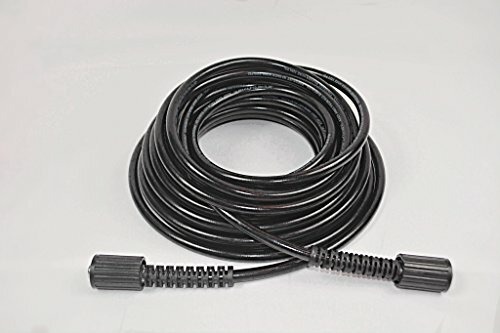 This is a 50ft hose rated at 3200 PSI with M22 connectors for the High pressure gun and to the pump. back yard or car this is the perfect hose. 50FT. REPLACEMENT HOSE 3200 PSI RATED- High quality hose rated at 3200 PSI with the standard universal M22 connectors made for almost any pressure washer on the market. UNIVERSAL M22 CONNECTORS- M22 connectors are universal connectors to use on almost all pressure washer wands which makes this a great product without having to buy anything else to make it fit! If you have any questions about this product by IGT-Group, contact us by completing and submitting the form below. If you are looking for a specif part number, please include it with your message.